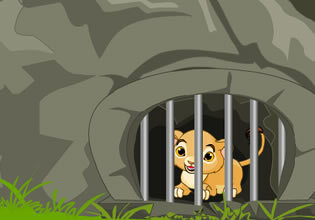 You are happily enjoying a day in the zoo and you noticed that a baby lion cub is crying inside it's cage. You were thinking that maybe it's hungry so you decided to help him out. This escape game is by TheEscapeGames.